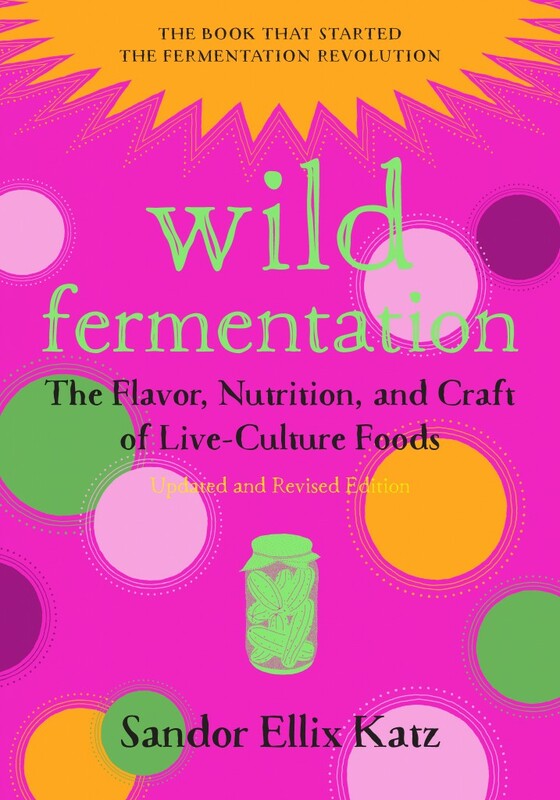 This week on Eat Your Words, host Cathy Erway speaks with Sandor Katz, author of “the book that started the fermentation revolution,” Wild Fermentation: The Flavor, Nutrition, and Craft of Live-Culture Foods. Since its publication in 2003, and aided by Katz’s engaging and fervent workshop presentations, Wild Fermentation has inspired people to turn their kitchens into food labs: fermenting vegetables into sauerkraut, milk into cheese or yogurt, grains into sourdough bread, and much more. Katz’s work earned him the Craig Clairborne lifetime achievement award from the Southern Foodways Alliance, and has been called “one of the unlikely rock stars of the American food scene” by The New York Times. The updated and revised edition, now with full color photos throughout, is sure to introduce a whole new generation to the flavors and health benefits of fermented foods.